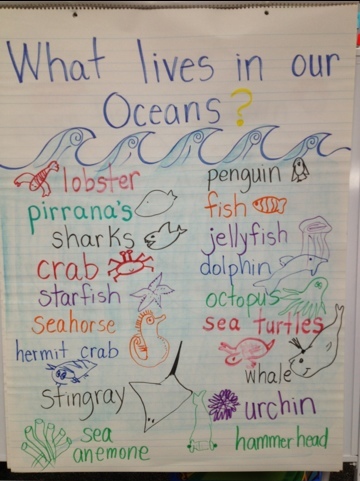 I love teaching about the Ocean during May. It gets me and my students excited about the upcoming summer time fun! The ocean is so magical! Here are some fun crafts that we made to help develop vocabulary. I have found that some of our children lack such vocabulary and are not exposed to the beach, shells and sand. 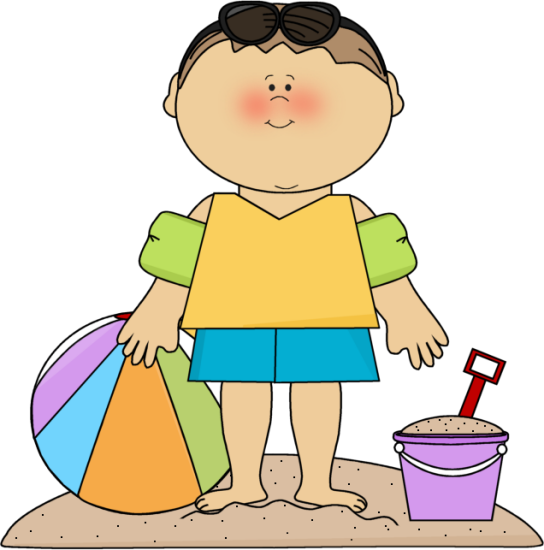 Not all students have the opportunity to travel and vacation to the beach. However, as teachers, we can bring the ocean into our classrooms! 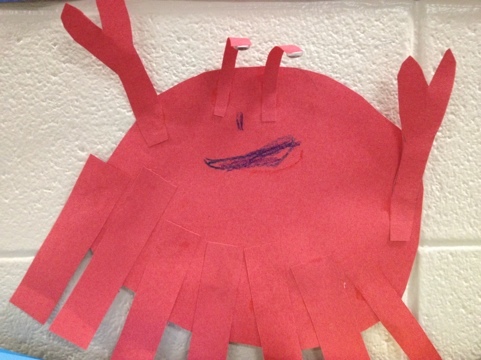 This is a whole group activity we did after reading several library books and viewing some YouTube video’s about the ocean. 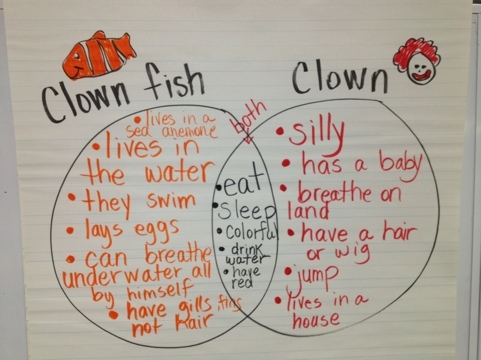 It is a great way to develop and build on vocabulary. 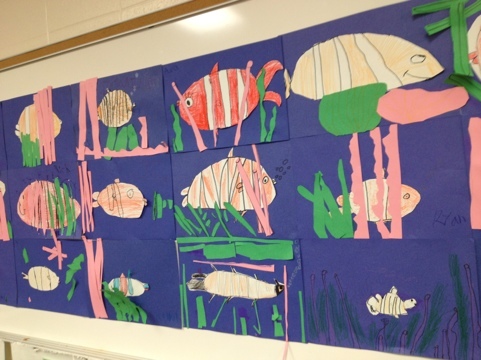 I demonstrated how to draw a clownfish using ovals of various shapes and sizes. This is the fish I made during the demonstration. Here is what my students made! 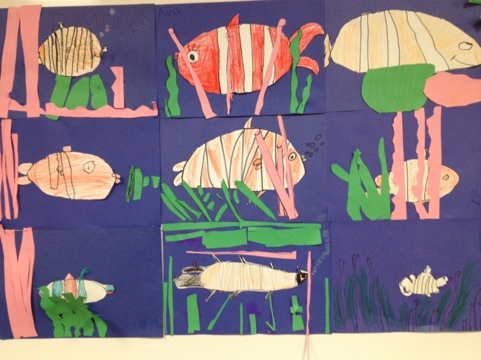 I had them draw their fish on white construction paper, cut it out, glue it to blue paper, then cut out pink sea anemone’s and green seaweed (using just scraps of paper). 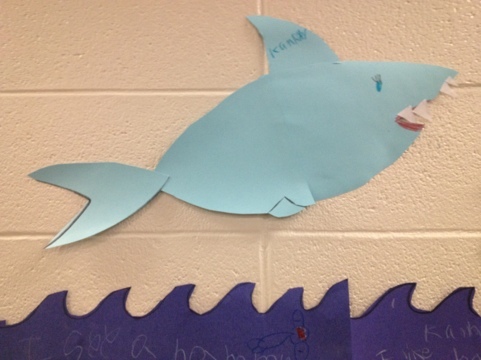 Shark Craft! I drew out the head, the body and the fins. 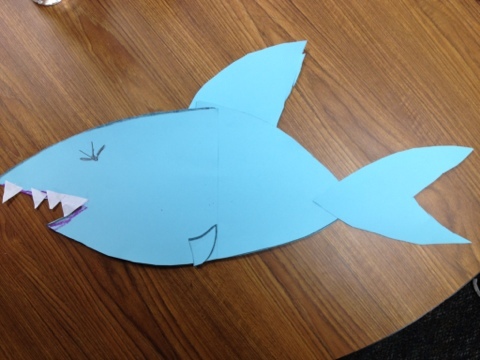 Then the students cut them out and put the shark together with glue. I gave them scrap white paper to cut out teeth. 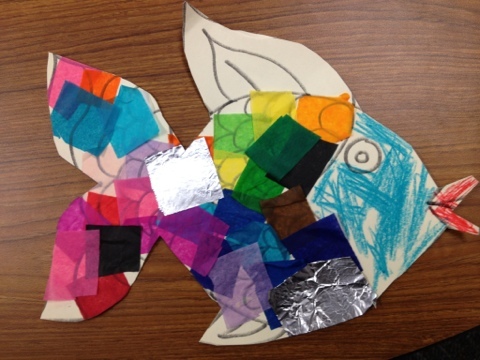 Rainbow Fish using tissue paper squares and foil square scales. 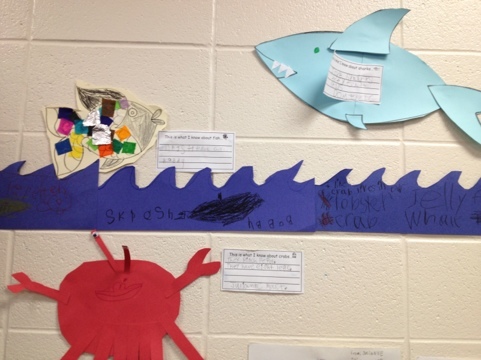 The crab, shark and fish were items the students made in learning stations, with the help of older students. The Stations lasted for an hour, with a fourth station being a jellyfish craft. I had Fifth grade students come help me with these Ocean crafts. I did not have a teacher assistant, so my plan of extra helpers worked out very well! 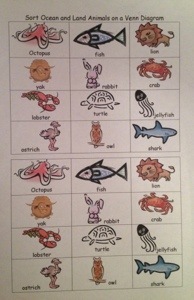 Here are Printables for each Ocean Station. 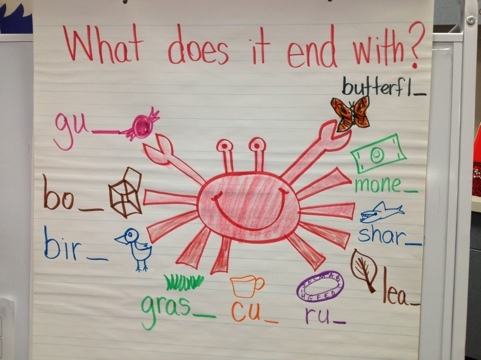 Ending Sounds, to go along with the Ocean themed lessons. 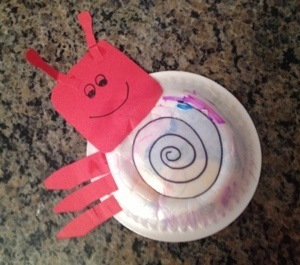 Hermit Crab – We made this after I read, “A House for Hermit Crab,” by Eric Carle. 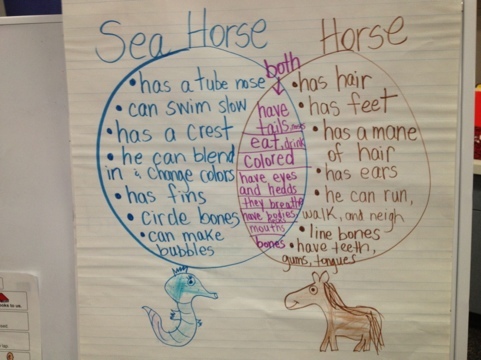 Ocean Animals vs. Land Animals Picture Sort – Students worked on this activity at their tables, by cutting and pasting onto a T-chart they drew on long construction paper.